Artist and researcher, Caroline Sinders, will lead a workshop with the Feminist Data Set project at the core. 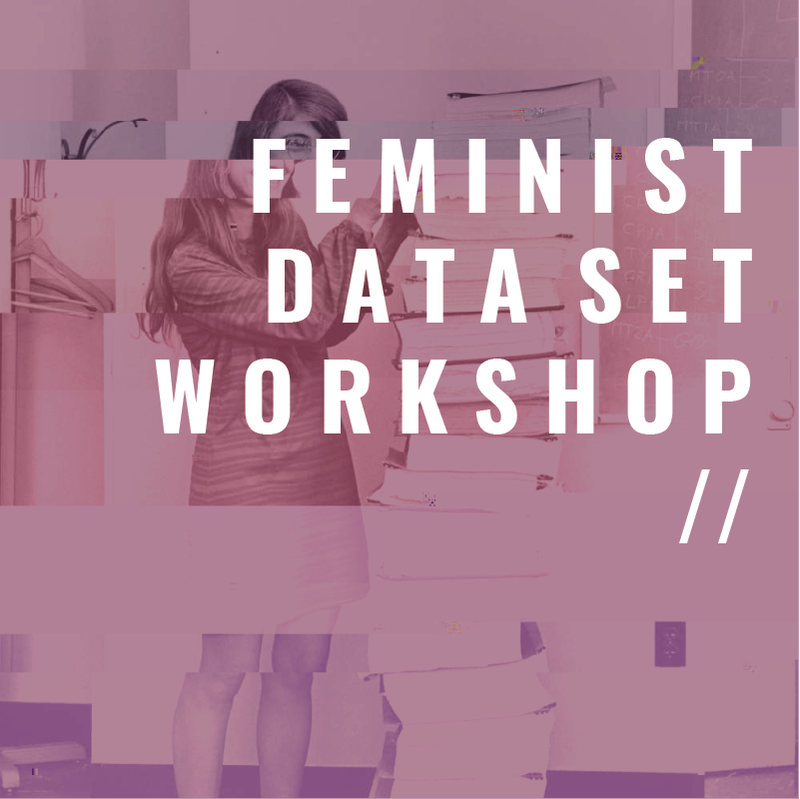 The workshop will investigate varying methods for creating a feminist data set. What is feminist data inside of social networks, algorithms, and big data? A feminist data set queers the archive, the spreadsheet, and the data set. It moves beyond a white and male space, forcing the technology to reflect the community. A feminist data set acts as a means to combat bias and introduce the possibility of data collection as a feminist practice, aiming to produce a slice of data to intervene in larger civic and private networks. Exploring its potential to disrupt larger systems by generating new forms of agency, the session asks: can data collection itself function as an artwork? How can we create data to be an act of protest against algorithms? Participants are invited to identify digital content such as images, gifs, videos, sound, music and texts, which they feel is feminist and queer in nature, to feed into the data set, which teaches an AI system to recognize it as such. Queer data is art, interviews, and writing by queer and trans folx, with special attention paid to the work of people of color data (examples: the Combahee River Collective’s “A Black Feminist Statement,” “I Want a Dyke for President,” the sculptures of Simone Leigh, Janet Mock’s Redefining Realness, etc.). This process raises questions concerning qualitative data collection and requires the group to reflect on categories that are supposed to capture feminism. Please bring your own laptop! This will help you research data points and share any files you find.